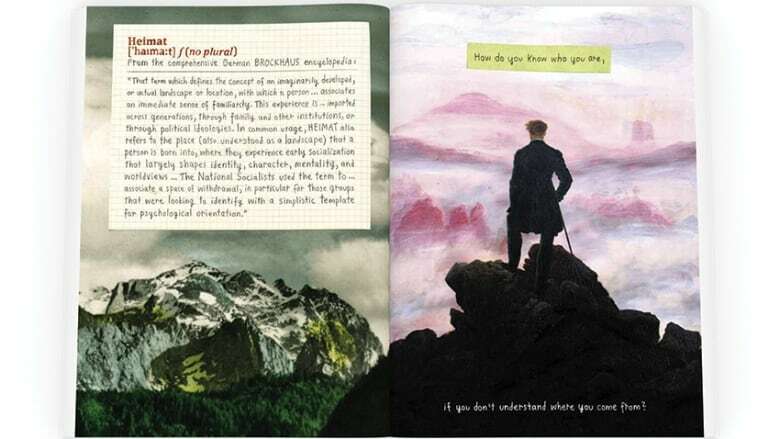 With her latest book, graphic artist Nora Krug is earning wide acclaim in the literary world. An illustrated and hand-lettered memoir, Belonging is Krug's powerful investigation into her German family's involvement in the Second World War and the impact of history on successive generations. Unflinching and compassionate, the book incorporates a striking variety of visual devices, including photographs, postcards, newspapers and documents, children's exercise books, watercolours, comic strips and text. Belonging was on many best-of-the-year lists for 2018, and is a finalist for the National Book Critics Circle Award for autobiography. The winner will be announced on March 14, 2019. Krug was born in 1977 in southwest Germany. She moved to New York City to study illustration at the Parsons School of Design, where she now teaches. Her work has won three gold medals and a silver medal from the Society of Illustrators, as well as a Silver Cube from the New York Art Directors Club. Krug spoke to Eleanor Wachtel from Manhattan. "The German word heimat is a difficult term to define in English. Broadly speaking, it means the place you feel you most belong, or once most belonged to, and the place where you feel understood and can understand others. It's a very individual term and it's different for everybody. "To me, the word is closely related to my childhood. It represents almost a utopian state of mind, something that is gone and that I can't recapture but that I hold onto in some way. I have deeply emotional connotations with it — walks with my family in the forest or in the vineyards close to my hometown. It's also the kinds of food we ate, such as liver dumplings. That's what I associate with the word. But it always comes with a slight feeling of loss because I feel like it's something of the past." "When I was about 13, I found my late uncle's grade school exercise books that contained stories he had written. They were adorned in the margins with illustrations, a lot of which were Nazi-themed, including swastikas, tanks and flags. A lot of these stories were about heroic Viking adventures, the lifecycle of the May bug, the importance of personal hygiene and charity… but there were also terrible and disturbing stories. Nazi propaganda, basically. "It was deeply disturbing for me to see these exercise books. There was an eerie sense of intimacy because it was the closest I could get to my uncle. At the same time, I was appalled. I knew the stories that these books contained were just disturbing and wrong." 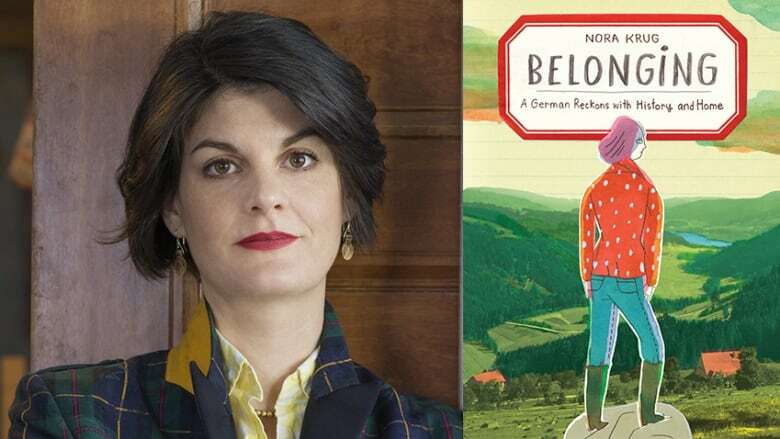 "Belonging is as much about my own family history in the Second World War as it is an attempt of looking for my own cultural identity — what it means to be a German growing up after the war. I went to a lot of flea markets across Germany to look for clues to my own cultural identity. I thought that if I look at the kinds of ephemera people collected or photographs they took before the two world wars, I can get a sense of of what Germans were thinking about at that point. "Many of the photographs featured forests and other kinds of landscapes. A recurring image that I found, over and over again, was that of a person from behind looking at a landscape. It seems that looking at a German landscape associates this idea of looking inwards and trying to find one's own roots. The forest is a metaphor. It's a space that I think has been described throughout German history — in poems, literature and songs — as a place of solace or calmness that you can retreat to, to find yourself in a way. I feel calm in the forest in a way that I don't feel calm anywhere else." "The word 'nostalgia' in Germany is not necessarily a positive word. It's a word that describes something utopian and idealized. For a German, that's a problematic notion because we don't want to idealize our country because of the atrocities committed in our recent past. So I wouldn't use the word nostalgia when thinking about something associated with my childhood. "To a lot of Germans, the term heimat is a conflicted one. It's one of the many things that the Nazis misappropriated. They defined it as a static place that was exclusive to a particular kind of person and a particular time in history. And so many Germans have been hesitant to use it. Unfortunately now, with the resurfacing of the extreme right in Germany, it has been predominantly used by that group of people, which is, of course, very troubling." Nora Krug's comments have been edited for length and clarity.